Random tidbits from a Weekly Famitsu feature. Famitsu this week has a feature addressing games industry rumors in 2014. Though, rather than address any actual rumors, it seems the magazine just reached out to developers with general questions about some upcoming titles. Dissidia: Final Fantasy director Mitsunori Takahashi wants to create a new entry in the series. Development on Final Fantasy XV is going well. New scene editing for Kingdom Hearts HD 2.5 Remix is finished, and new information should be coming soon. Development has begun on the second Galapagos RPG-branded title at Compile Heart. First details are not far off. Zettai Zetsubou Shoujo Danganronpa: Another Episode‘s scenario is complete. There is a new screenshot, too. Kotaro Uchikoshi is working on a new project at Mages. Capcom should be releasing new information on Monster Hunter 4 Ultimate soon as part of the series’ 10th anniverary. 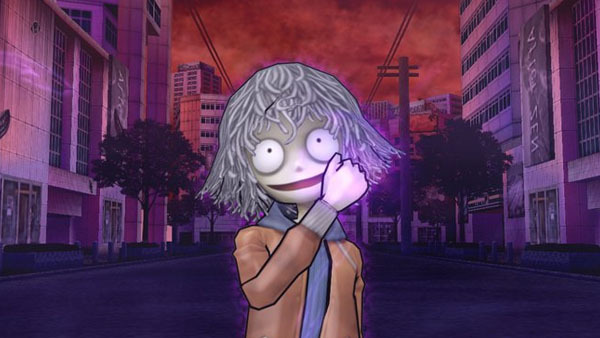 Level-5 is considering new developments for the canceled PSP game Ushiro. If you don’t remember, Ushiro was this gem. Unfortunately, it sunk before it rose.